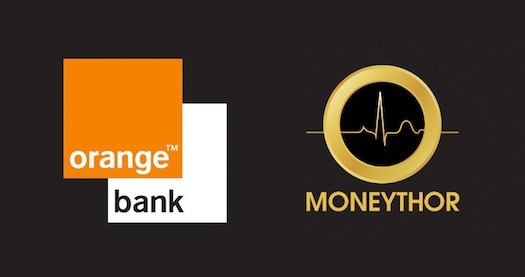 Paris & Singapore, 5 December 2017 – Moneythor, the financial technology company providing banks and fintech firms with a digital banking toolkit and data-driven personalisation engine, has been deployed by Orange Bank in its new all-in-one mobile banking service. Orange, one of the world’s leading telecommunications operators, has launched Orange Bank on 02 November 2017 in France. The new 100% digital service offers customers the ability to carry out all operations using their mobile phone. Moneythor is providing the technology powering the digital interactions of customers with their transactions from both accounts and cards, including real-time balance1 and personal financial management (PFM) features helping them improve their finances throughout their journey with the bank. “We are thrilled to see our project with Orange Bank going live. It is another validation of our solution’s ability to support the launch of new digital banks across the globe and to enable them to deliver highly personalised experiences to their customers”, commented Olivier Berthier, CEO of Moneythor. “Orange Bank was designed from the outset to combine the best innovations available on the market with a relentless focus on addressing customers’ expectations for money management. The Moneythor solution helps us address both and has been a key contributor to building the service”, said André Coisne, Managing Director of Orange Bank. 1 Instant balance provided on an indicative basis. Subject to conditions and to the electronic cash rules applied by retailers. Moneythor (www.moneythor.com) is a financial technology company, with offices in Singapore and Paris, developing software providing more intelligent and contextual digital banking for customers and enhanced marketing and analytics for banks and fintech firms. The company’s solution comes as an easy-to-implement set of software components delivered as APIs enabling services providers to offer improved functionality and experience including personalised and contextual recommendations to their customers through their digital services. Orange Bank (www.orangebank.fr) was born of the partnership between two players with complementary expertise, Orange and Groupama. Orange owns 65% of the capital of Orange Bank and Groupama 35%. Groupama’s contribution of an existing banking unit and experience in the remote banking relationship, with Groupama Bank, made it possible to launch an innovative, 100% mobile banking offer. Orange Bank – SA with capital of €297,575,712 – 67 Rue Robespierre – 93107 Montreuil Cedex – RCS Bobigny 572 043 800 – Orias No. 07 006 369 (www.orias.fr). Orange may market the products and services of Orange Bank as an exclusive agent for banking operations and payment services. Orange – SA with capital of €10,640,226,396 – 78 Rue Olivier de Serres – 75015 Paris – RCS Paris 380 129 866 – Orias No. 13 001 387.